Lanthanum oxide (La2O3) is a white, odorless solid. It is soluble in dilute acid but insoluble in water. Under atmospheric conditions, Lanthanum oxide absorbs moisture and gradually converts to Lanthanum hydroxide. High purity Lanthanum oxide is frequently used to improve the alkali resistance of optical glass. Other enhancing properties include increasing the density, refractive index, and hardness of glass. 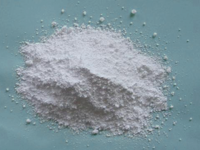 Highly purified Lanthanum oxide is also an ingredient used to the manufacture piezoelectric and thermoelectric materials. Low grade Lanthanum Oxide can be used as a raw material for Lanthanum Metal production. It is also frequently applied in ceramics and FCC catalysts. Lanthanum oxide should be stored in a cool, ventilated warehouse. Keep it away from fire and heat. Avoid direct or prolonged contact with skin and eyes. Packing seals are required. Our Lanthanum oxide is carefully packaged to ensure the barrier of outside influences. Even so, Stanford Advanced Materials still recommends our customers use it within 3 months. Previous: What is stabilized zirconia?